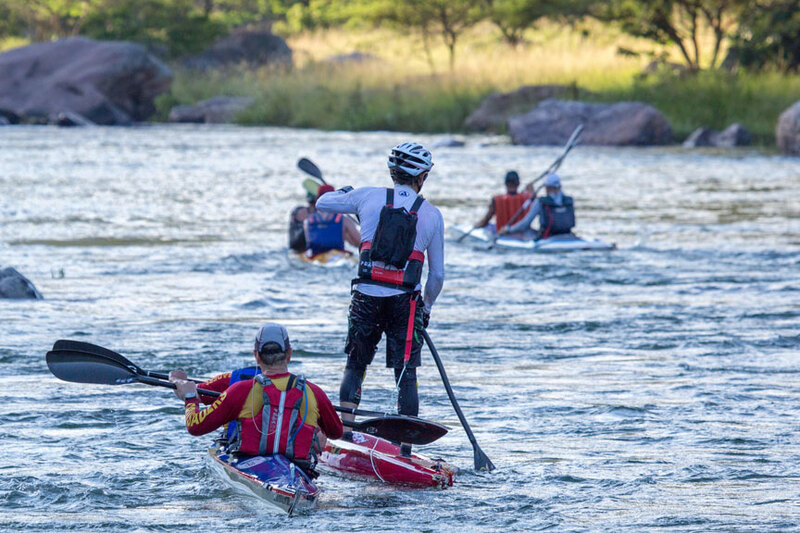 As the discipline of racing evolves, so the variety of places where people will race does too. 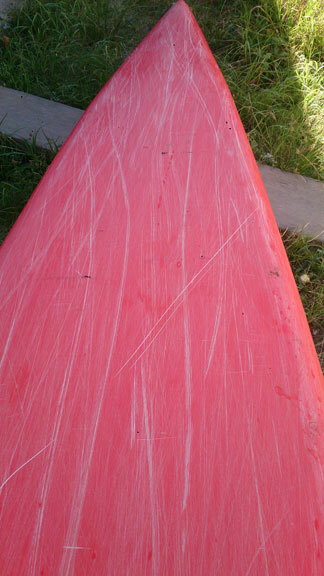 Thus the need for a board designed and built to take everything you can hand out has become necessary. 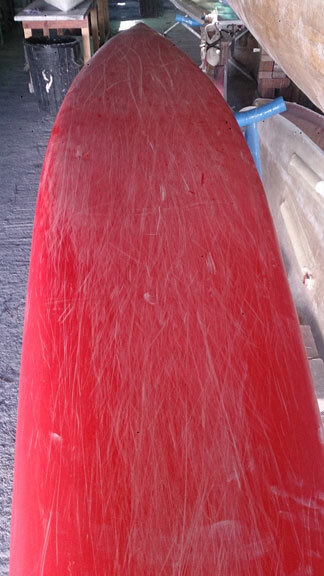 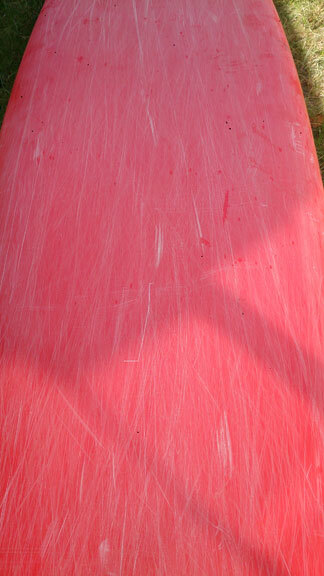 This board falls into the new S1 category of 520cm which is the ICF/Olympic length of K1 and C1 sprint canoes. 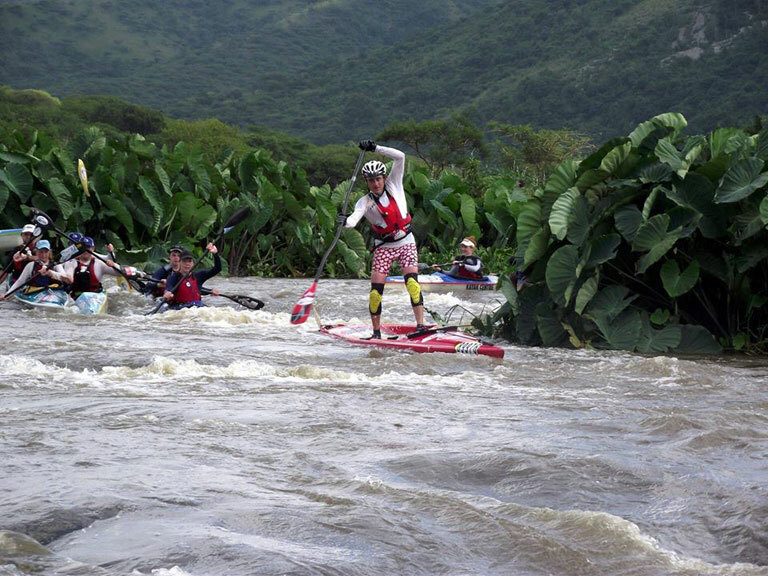 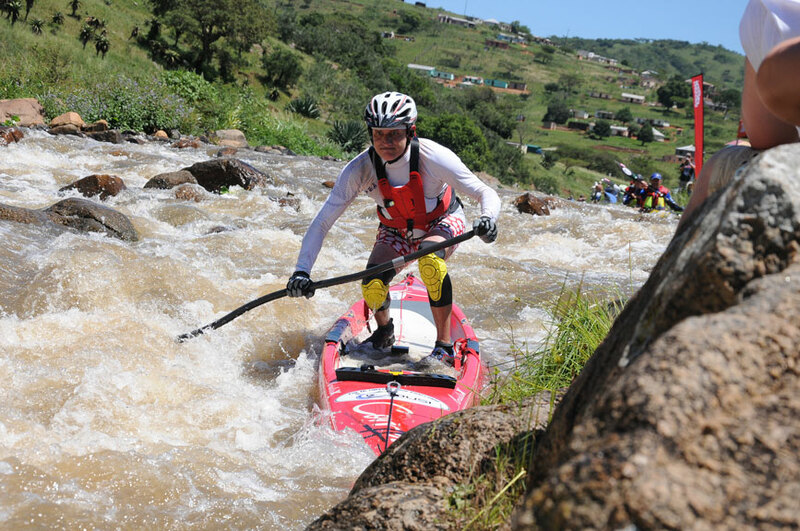 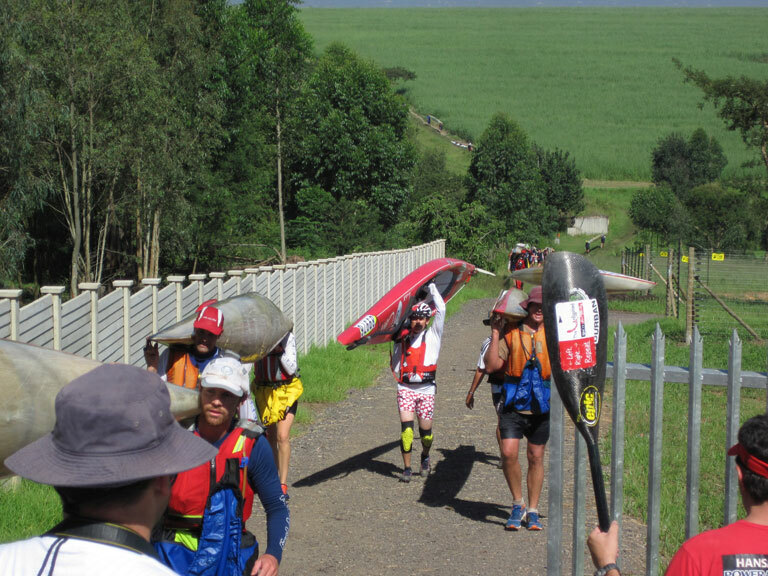 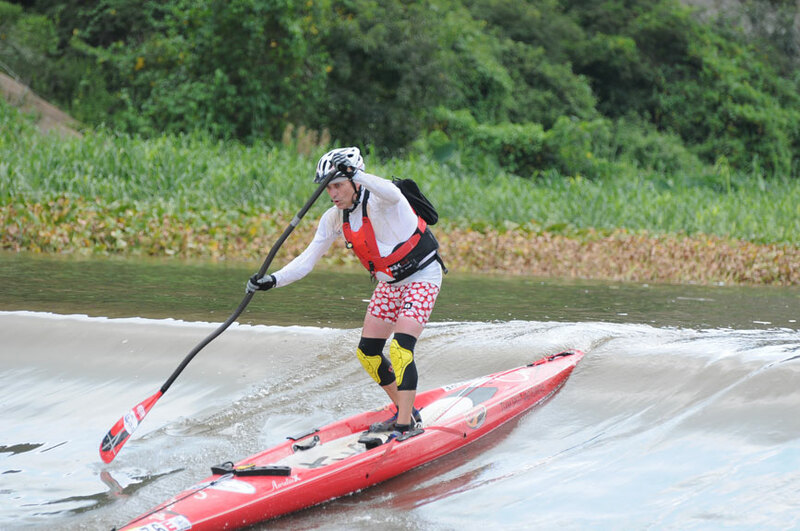 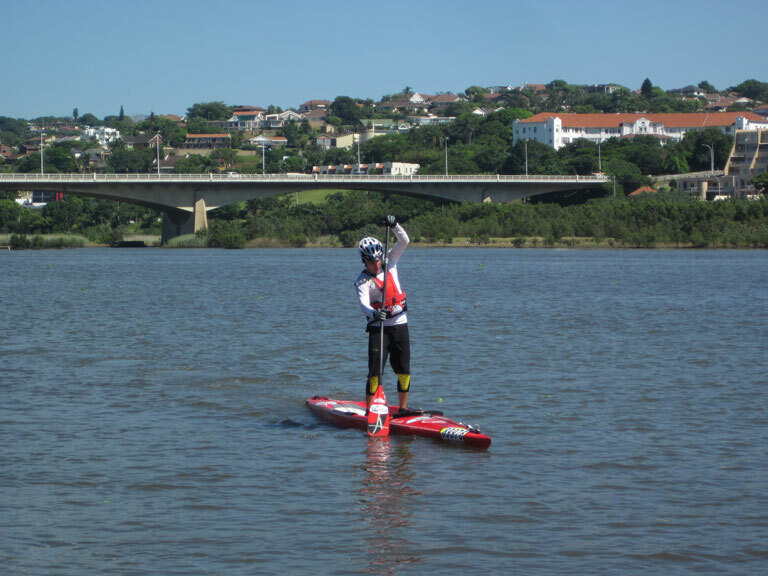 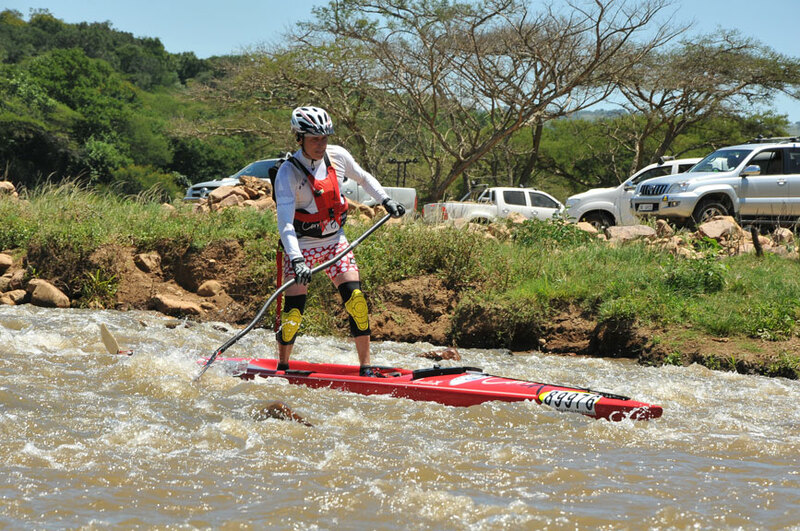 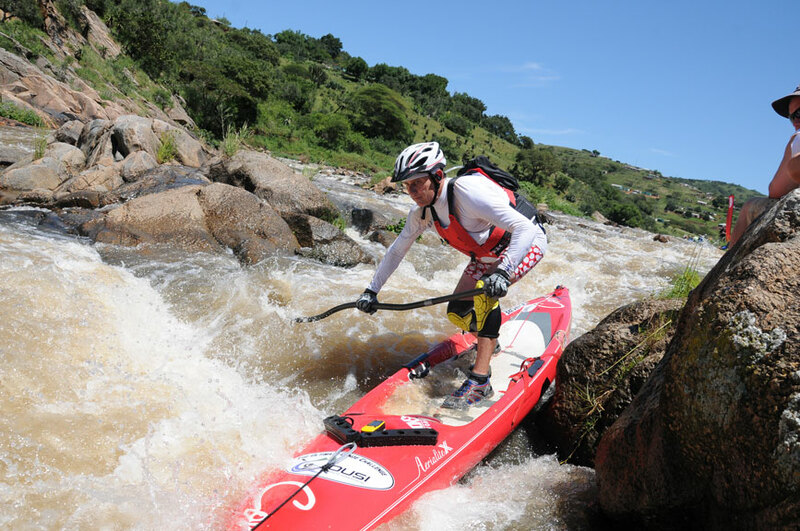 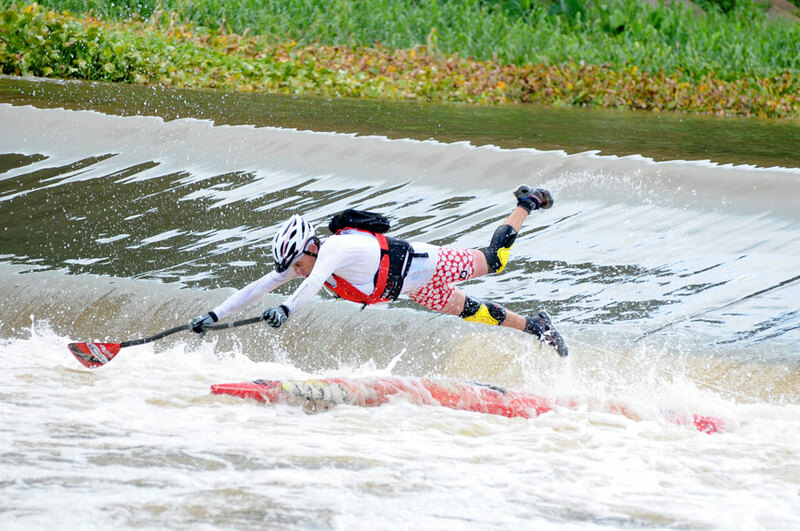 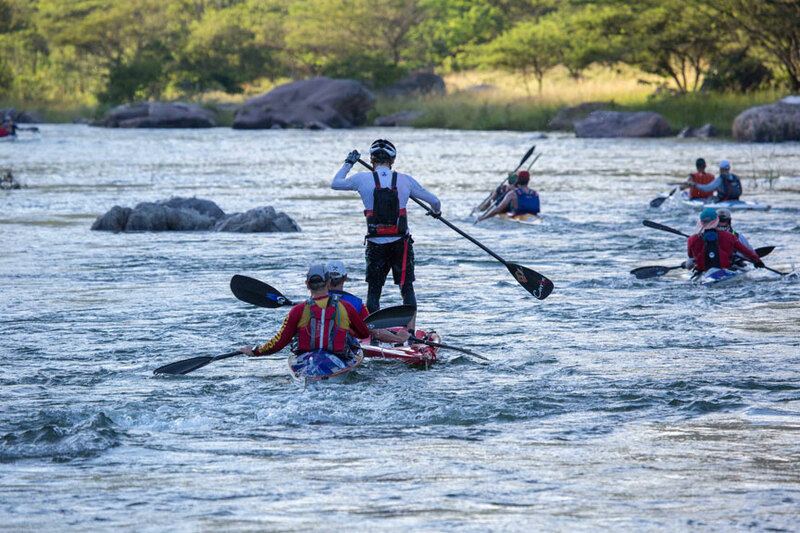 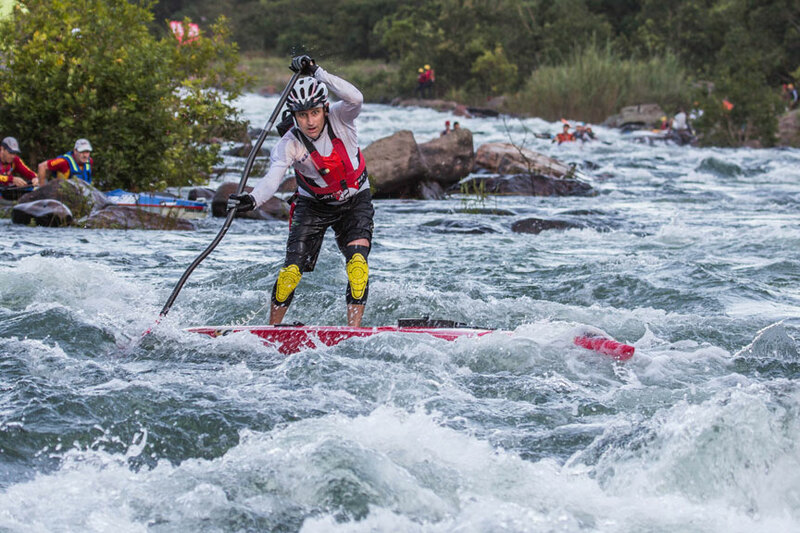 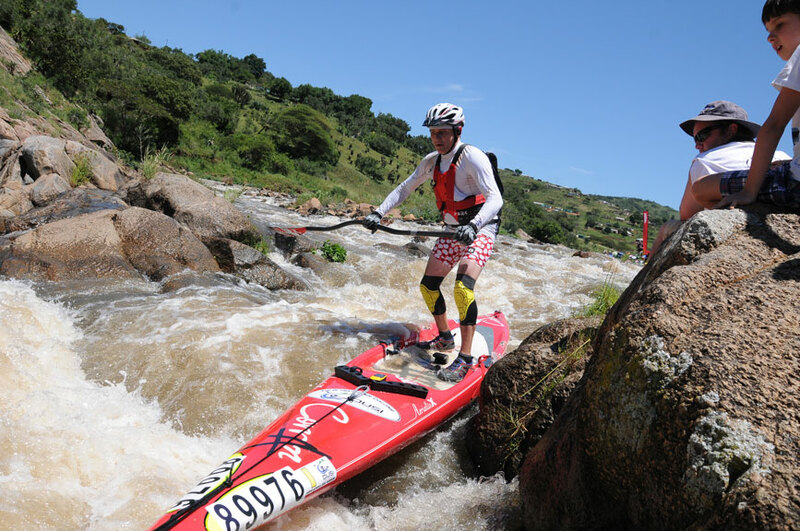 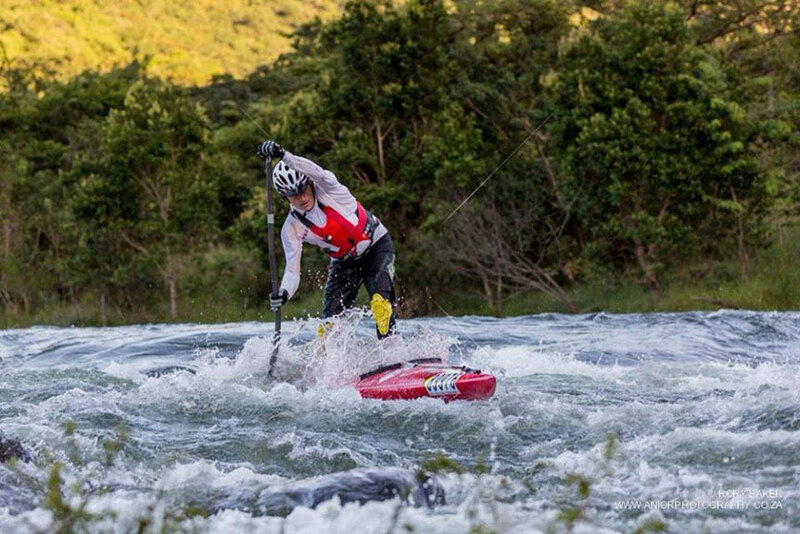 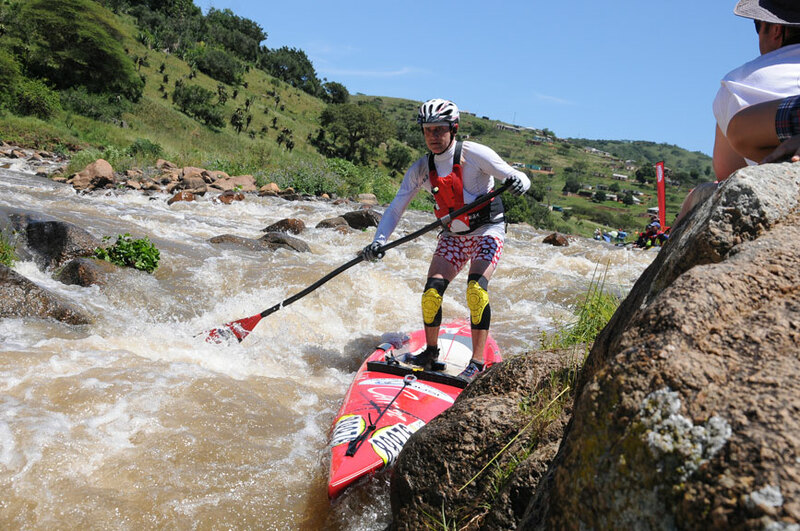 This board was developed for the Dusi marathon, a 120km downriver race in South Africa that’s part flatwater, part whitewater and part running (with your board). 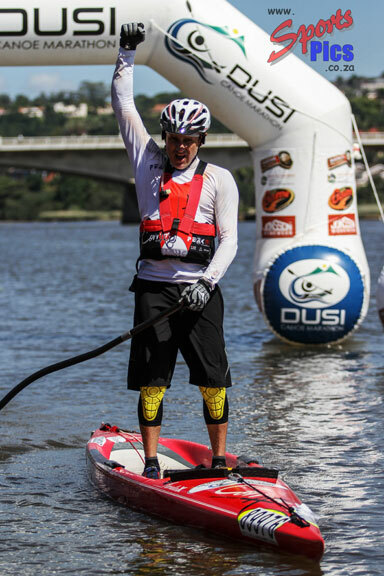 It was the first SUP ever to complete this grueling race, finishing in 15 hrs over three days (a full 2 hours faster then the next fastest SUP). 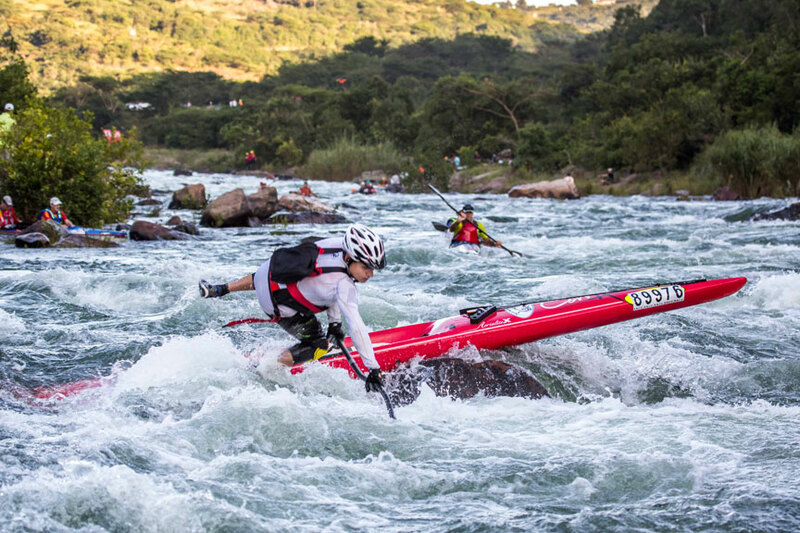 It needed to be very fast on the flats, yet still be stable and maneuverable enough in class 3+ whitewater.This translates into stability in open ocean racing as well. 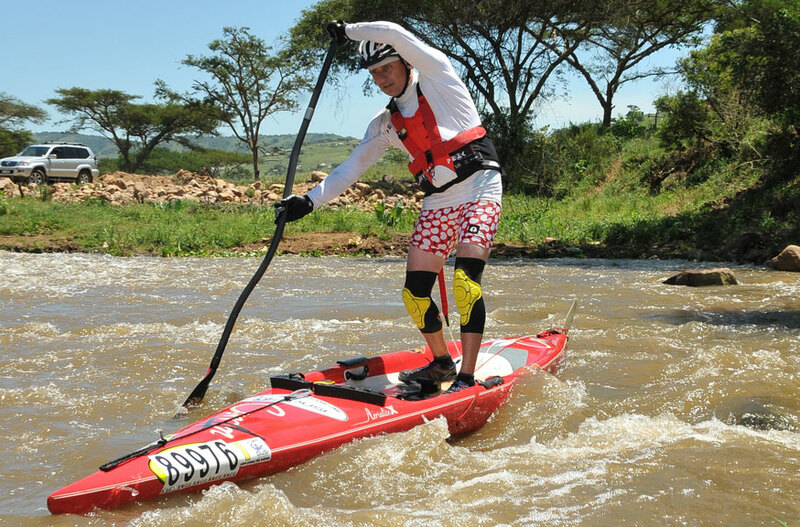 Built from AerialiteX with Innegra fabric, the Dusi will take an amazing amount of abuse for such a light board. 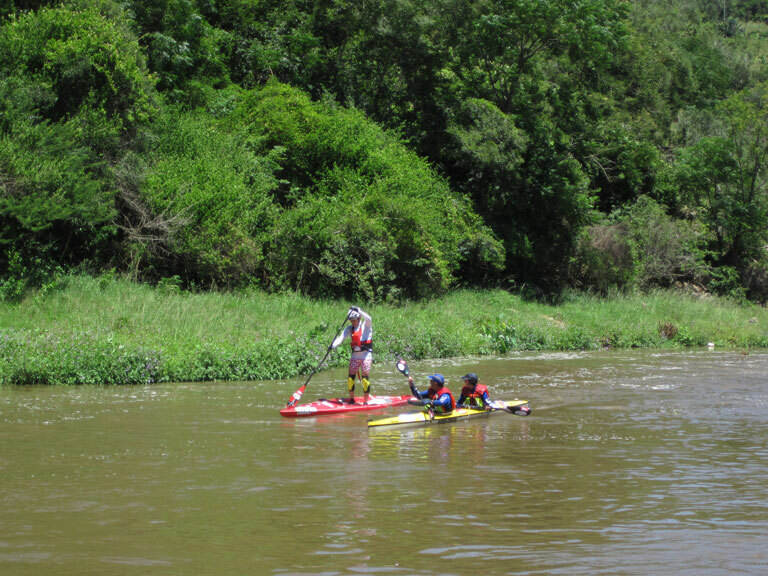 The Dusi uses out patent pending tail skeg, that can be pulled out of the water for increased maneuverability in tight rapids or buoy turns. 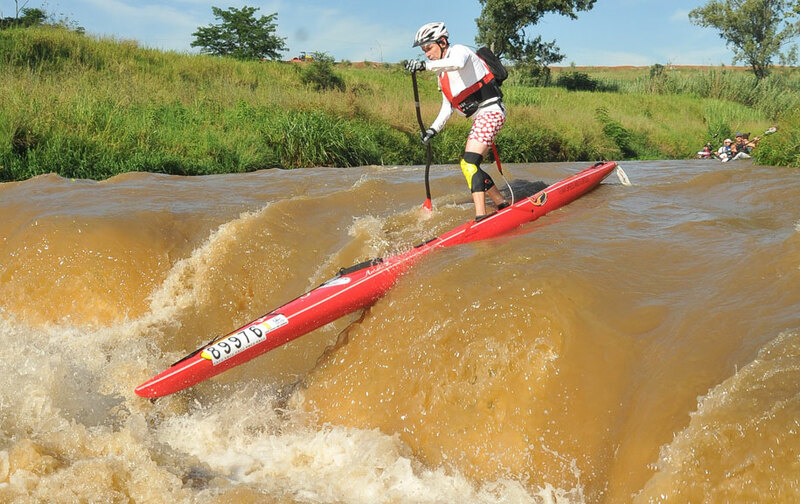 The Dusi can be made custom in the USA to any dimensions. 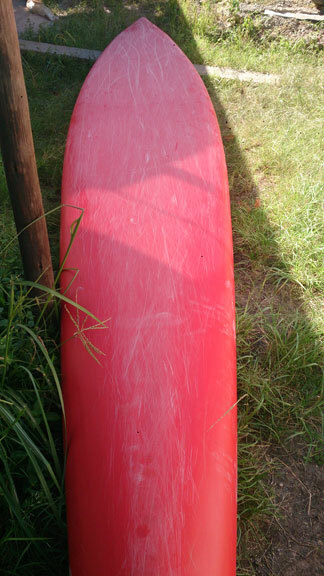 ICF regulation length is 520cm/17′.